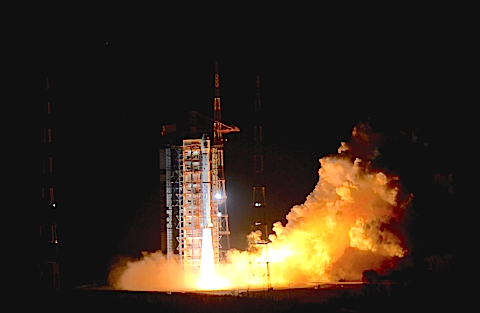 commercial maritime satellite HEAD-1 operated and owned by China HEAD Aerospace Co. Ltd was successfully launched on November 15, 2017, 2:35 AM local time from the Taiyuan Satellite Launch Centre on a Long March 4C as a piggy back launch with the FY-3D mission. All launch and orbit insertion stages were executed nominally. The satellite smoothly reached its 808 km polar orbit. Initial in-orbit verification of the platform and payload have already started. HEAD-1 is a 45kg satellite jointly designed and developed by the Shanghai Aerospace Technology Research Institute (SAST) of China Aerospace Science & Technology Corporation (CASC) and China HEAD Aerospace Technology Co. Ltd (HEAD). The satellite was designed as a modular, highly integrated platform making use of platform virtualization and other innovative techniques to create compact, high performance and quickly integrated small satellite solutions. HEAD operates its own data center in China to process the AIS data of HEAD-1 and to provide a range of positioning and analytical services through a dedicated on-line portal. Products and services are based on a mix of shore-based and satellite-based data sources enabling the company to start its commercial services swiftly. HEAD-1 is the first Chinese commercial maritime satellite to target international commercial markets and meet the demand in the domestic market. The data and services of HEAD-1 is expected to contribute in the Chinese national maritime security market as well as to leverage socio-economic benefits through the support in the national initiative ‘The Belt and the Road’. China HEAD Aerospace Technology Co. Ltd is a privately owned, independent company founded in 2007 and headquartered in Beijing, China with subsidiaries in Hong Kong, the Netherlands, France and joint laboratories located in Switzerland and Italy. The company has successfully helped non-Chinese aerospace companies to commercialize their space products and services in China over the last 10 years. With an interest in the small satellite market, HEAD has been investing in a constellation of small satellites with multiple payloads dedicated to providing value-added services and applications. 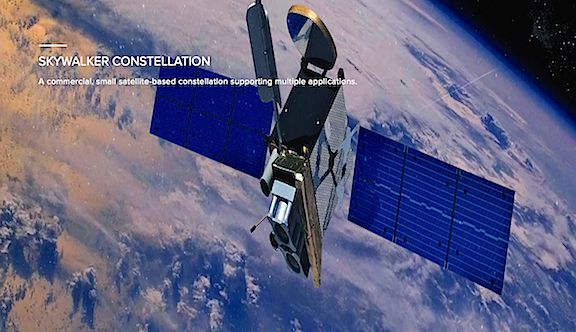 The HEAD-1 satellite is the first technology demonstration satellite as part of the "Skywalker Constellation", a multi-functional AIS and Earth observation micro-satellite constellation.